We live in bear country; so how do you keep your alpacas, llamas, farm property, and yourself safe? The black bear population in New Jersey has been on the rise over the last 50 years. The majority of the black bear population inhabits the northwestern part of the state; however, they have been documented in all 21 counties. According to the Rutgers University resource “Living With Black Bears in New Jersey” (Rutgers Bulletin E345) written by Brooke Maslo, Ph.D., Extension Specialist in Wildlife Ecology and Samantha Wehman, Technician, black bears have been known to prey on livestock including alpacas, llamas, pigs, sheep, young cattle, goats, and horses. It is possible to peacefully coexist with these creatures! Let’s review some ways to avoid attracting them to your property. Using bear-resistant certified garbage receptacles (visit the NJ Division of Fish and Wildlife for a list of manufacturers) and storing them outdoors may discourage visits by foraging black bears. Washing the receptacles weekly with a disinfectant will eliminate lingering food odors. Bird feeders are an easy food source for bears, and should be avoided in prime bear habitat. Other options are to place them outside only during daylight hours and hanging them from a tree rather than pole-mounting. Spilled seed should be cleaned up beneath the feeder. Eliminating food and waste on the farm can reduce the attractiveness of the area. Wherever possible, reduce the amount of protective cover on the farm, maintaining mowed areas of at least 50 yards in width. Remove any carcasses from fields, incinerating them if possible. Compost piles, crop fields, livestock pens, and apiaries should be located at least 50 yards from the edge of a forest. Lime can be added to reduce food odors. 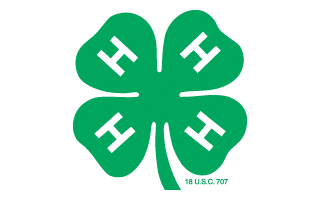 Be sure to move your livestock to barns or secure pens at night. Avoid birthing young in the pasture. Lactating females with young are especially vulnerable to bear attacks. If birthing occurs in the field, clean the area thoroughly and remove afterbirth. The most effective method to reduce bear damage is fencing. A permanent welded wire fence or an electric fence is recommended. Electric fences should yield approximately 3,000 – 6,000 volts. More information about fencing can be found here, another NJ Fish and Wildlife site. Sensory deterrents can be used to keep black bears away; however the success of these techniques is highly variable, and bears usually become accustomed to any consistent disturbance. Visual and auditory deterrents may include pyrotechnics, horns, bright lights, and propane cannons. Deterrents and their locations should be switched often for maximum effectiveness. Rubber or plastic bullets and pepper spray can also be used, but only offer short term relief. 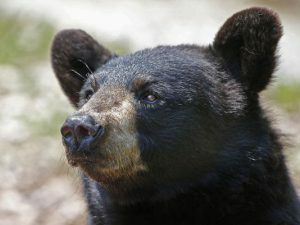 Farmers in New Jersey may apply for a black bear depredation permit if they experience significant amounts of damage. Permits are provided to the owners or lessees of the property where the damage occurs. The permit application and further details may be found at this site. For further information or to report an incident involving a black bear, call 1-877-927-6337 (Trenton dispatch). Your call will be directed to the NJDFW Black Bear Program, where state personnel are available 24/7 to respond to emergency calls concerning black bears.